One digital eye looks deeply into another and finds nothing. 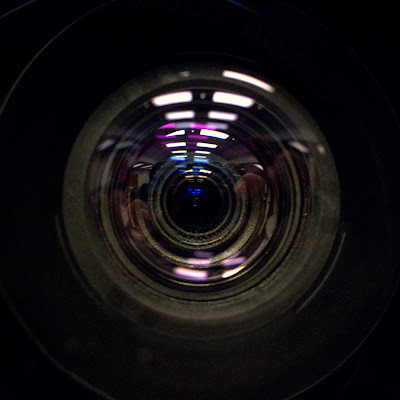 This dark soulless eye belongs to a video conference camera. Canon G10, 1/6 sec at f/3.2, ISO 800, 18mm equivalent focal length. Image stabilization and macro focus mode made this image possible, of course the steady hands of the skillful photographer player a role too.